San Cristobal has excellent value hotels therefore it’s a good place to chill out for a few days. 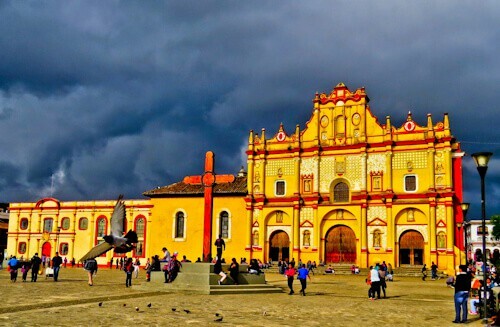 As a tourist, San Cristobal de las Casas is perfect, it’s small, safe as well as clean. Additionally, there are lots of great value restaurants, bars and hotels. The whole town is walkable and there is a lot of colorful Spanish colonial architecture to photograph. Lastly, you can get a great shot of the famous church with the cross in front of it on the plaza. 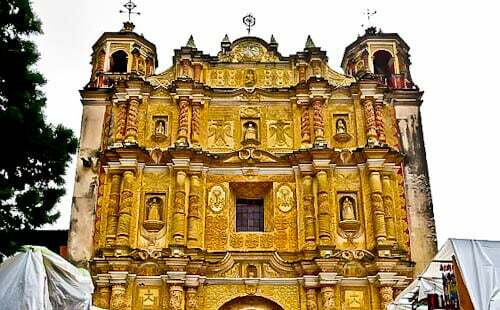 The Ex-Convento Santo Domingo Church has a pink facade, as a result it’s a popular Instagram spot in San Cristobal. Unfortunately, there’s a market at the entrance but if you visit early morning you should have it to yourself. Finally, the church is of Baroque architecture. When I visited aguas azules, which means blue water, the water was actually green. The reason I was given for this was because there had been heavy rain for the previous few days and sediment had been washed down. Normally the water appears blue, I guess I’ll have to go back one day! There are several waterfalls and beautiful views in this well organised park, it’s even possible to swim in some parts. This place really is a photographers dream and it’s easy to book a day trip from San Cristobal. 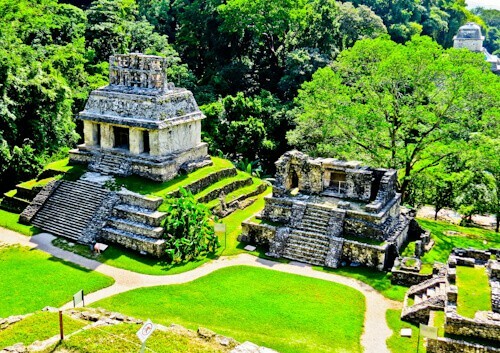 Palenque was a Mayan city state in Mexico from 226 BC to 799. This makes it over 2000 years old! Palenque is not as famous as Chichen Itza or Teotihuacan, probably because it’s not close to Cancún or Mexico City. It’s in the middle of the jungle in Chiapas which gives it a more natural feel than the more famous archaeological sites. You can wander around here and virtually enjoy the place to yourself, which makes for great photography. You can walk on most of the buildings too and there are almost no hecklers. Mot importantly, you can visit on a day trip from San Cristobal. There is a lot of fauna and flora to appreciate here too. It’s a photographers paradise as you’re guaranteed to see lots of wildlife! San Juan de Chamula is the village of an independent Tzotzil community. It is an autonomous state within Mexico and does not allow outside police or military. Their religion is a mixture of pre-Hispanic and Catholicism. In the church the medicine man was prescribing various remedies for the people. One of the strangest things I have ever seen is people drinking coke in order to burp, releasing bad energy from the body. Here in Chamula, coke is not a soda that is bad for you, but a remedy! 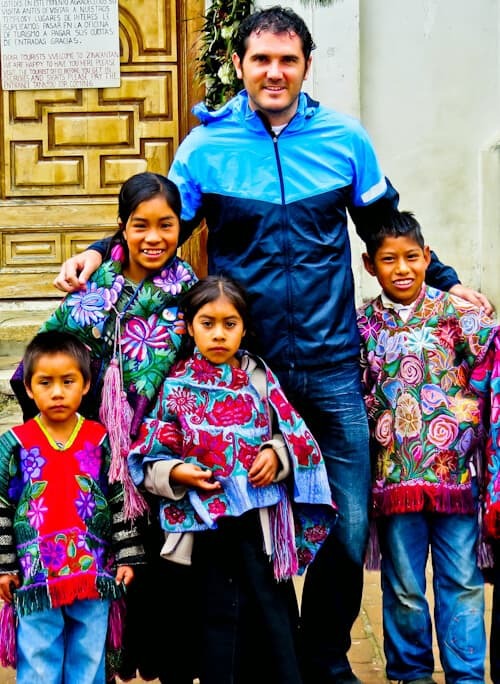 At San Juan de Chamula church, there are many Tzotzil Maya children who want a photo with you, then they’ll want some change. That’s why I have uploaded the photo here, so I can get my 10 pesos worth! Finally, San Juan de Chamula has a bad reputation, therefore I recommend you visit on an organised day trip. 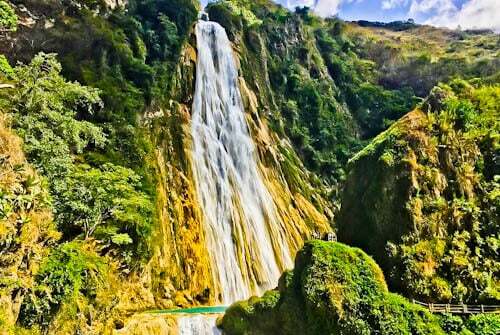 El Chiflon waterfall is stunning, furthermore, it drops into lots of emerald colored pools. 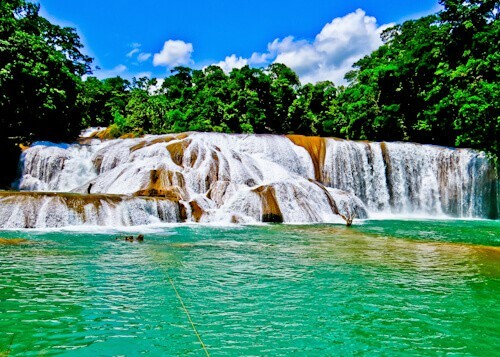 For this reason, it truly is a top Instagram spot in Chiapas. You can visit El Chiflon conveniently on an organised tour from San Cristobal. The bus services in Mexico are excellent, better than Europe and cheaper too! 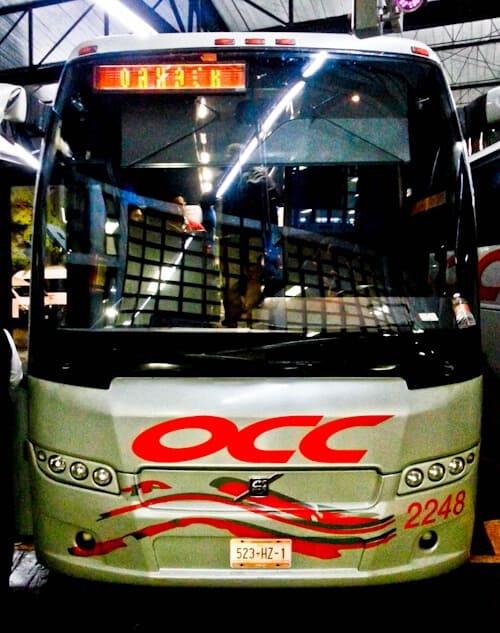 The OCC service to Oaxaca was a very smooth journey, I arrived early in the morning in Oaxaca city after a great sleep on the bus. There are several buses a day between San Cristobal and Oaxaca which leave from the central bus station. Amazing images!! Love how you always include whatever tour company etc you use! 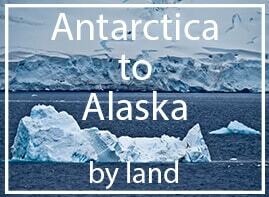 This is a trip I soooo wanted to do! When I was in Mexico I didn’t have the time and I would love to. Everybody speaks beautifully about this place! Yea, it is strange when people drink Coke in order to burp but I think it is part of their culture already. I would love to walk around in this town and just explore. It looks like it has less pollution compared to Huatulco. It has more wildlife too. Do the overnight buses have stop-overs so that you can go out and stretch a bit? Yes, the bus stopped at a restaurant for a while so passengers could stretch and eat On this particular journey I stayed on the bus as it was a night bus and I preferred to sleep. There are separate male and female toilets on the bus too so women don’t have to worry about the men peeing everywhere! Oh I so want to do this trip now. If only we had time to get here. Your photos are wonderful. I haven’t heard much about this area of Mexico but after seeing your photos I really want to go see it for myself! I never would’ve thought you’d find a massive gorgeous canyon in that area either. You took some amazing photos! I don’t know much about Mexico but I love this pictures! It makes me want to visit. It looks like such a great experience. It looks lovely and I’d definately would want to go to Palenque! Mexico is still on my wishlist and I would include Oaxaca (no idea how to pronounce that) to my list. thanks for sharing. 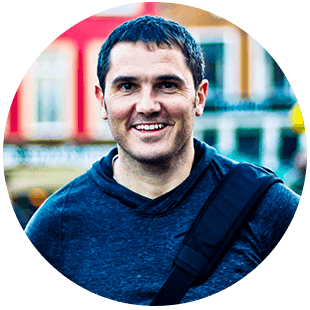 I love that you explained a little about the area as I had never even heard of it! I love how colourful your photos are and the waterfalls look spectacular. One of my besties is Mexican and has always told me how colorful it is – but your pictures really show that! And the canyon tour looks so beautiful! Ten pesos is a bargain for that photo of sweet traveling smiles! What fun to visit with the locals that way. I haven’t been to Mexico in many, many years and this looks like a great destination for another trip back! Where is the nearest airport to fly into from the states? 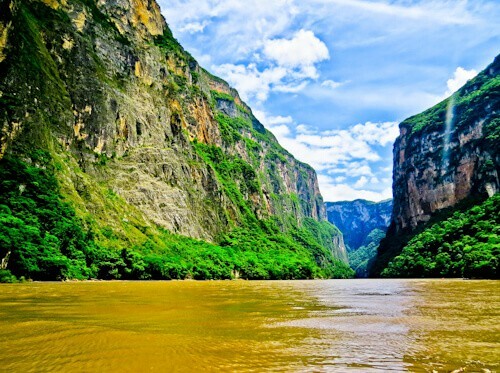 I would try Tuxtla, the capital of Chiapas.